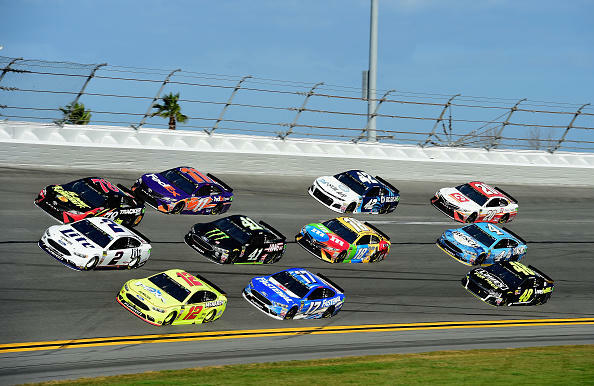 Matt Selz pores over all of the stats, speeds, and qualifying spots to find the best DFS NASCAR plays from the Advance Auto Parts Clash at Daytona for example lineups. For the second-straight week, Newman and the No. 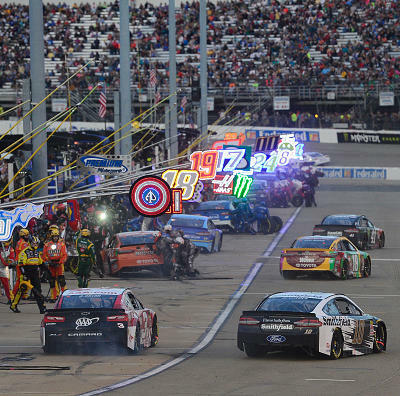 6 team put together a solid result, finishing ninth under the lights Saturday night at Richmond Raceway in the Roush Performance Ford Mustang, roushfenway.com reports. Newman and the No. 6 Ford team are getting their act together and they're using the short tracks to get that performance boost. For the second-straight week the veteran driver navigated a bull ring to collect a Top-10 finish, his second of the young season. Newman still has a long way to go to get this team completely running at top speed, but the last two and really three races have been very hopeful signs. 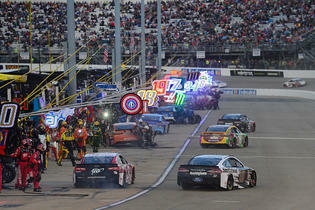 The RFR driver has climbed from 19th- to 14th-place in the standings over the last three events. 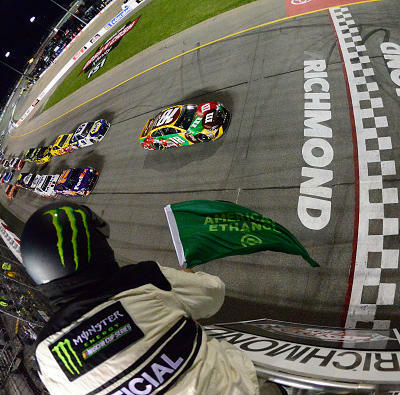 Busch overcame a pit road speeding penalty to finish eighth Saturday night in the Toyota Owners 400 at Richmond Raceway, kylebusch.com reports. The No. 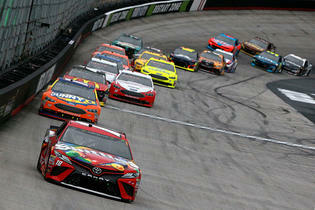 18 Toyota Camry was very fast, and it didn't take long for Busch to claim the lead on lap 32. 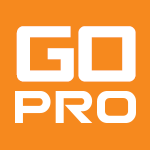 However, during stage 2 the JGR star would pit under caution and make a costly speeding mistake on pit road. Busch would restart 26th on lap 135 and battle uphill the rest of the way. 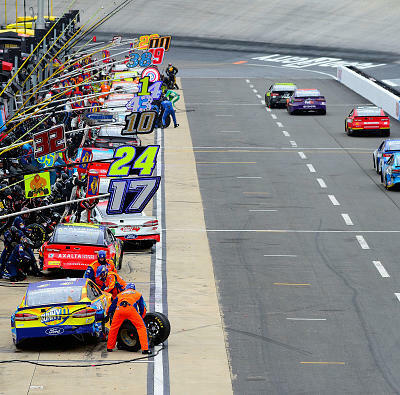 An ill-handling car would prevent him from racing further forward over the final stage, and Busch would settle for eighth-place at the checkered flag. 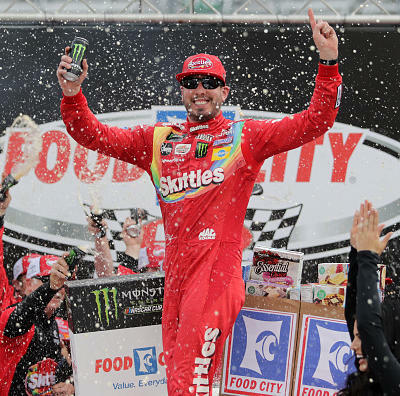 It was his ninth Top 10 in the first nine races of the season, and he remains squarely atop the championship standings heading into the off weekend. 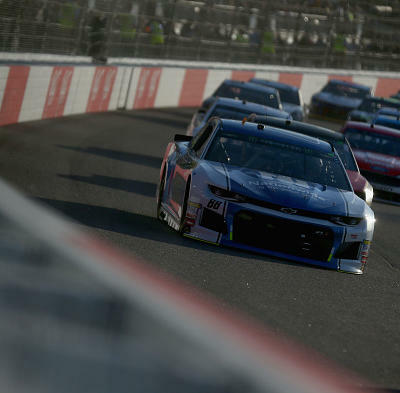 Keselowski bounced back from two straight disappointing races with a seventh-place finish in the Toyota Owners 400 Saturday night at Richmond Raceway, teampenske.com reports. 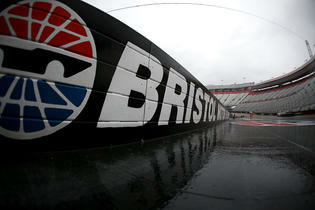 After a couple disappointing runs at Fort Worth and Bristol, Keselowski and the No. 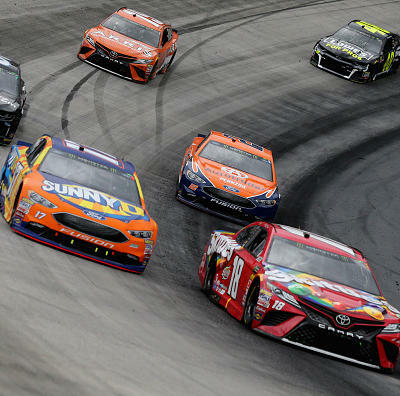 2 team rebounded into the Top 10 in the Toyota Owners 400. 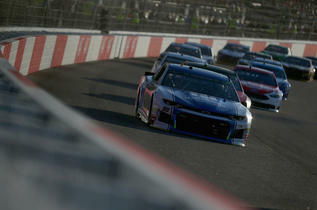 The Penske Racing star led 31 laps and raced among the leaders all evening at the 3/4-mile oval. While he didn't have the speed to challenge for the win, Keselowski would hold his track position over the long green-flag run to the finish. 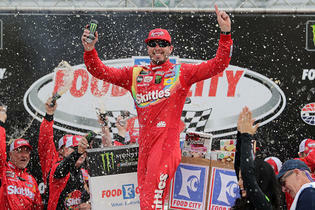 It was his fifth Top-10 finish of the season, and he remains fifth overall in the driver point standings. 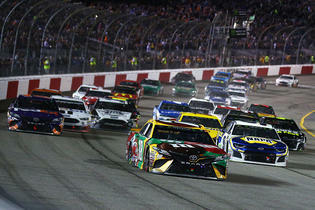 Dillon earned a sixth-place finish in the Toyota Owners 400 at Richmond Raceway Saturday night. It was a strong short track performance for Dillon and the No. 3 team. The RCR veteran had an average running position of ninth-place for the 400-lap event. 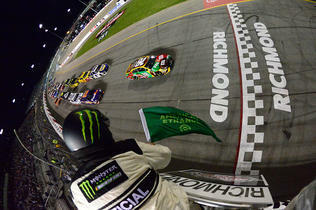 Dillon also spent 395 laps racing inside the Top 15, so he stayed up front the entire evening at the Richmond oval. It was one of the best cars the No. 3 Chevrolet team has brought to the track thus far this season. Dillon will ride the momentum of this performance, his second Top-10 finish of the season, into the off week. 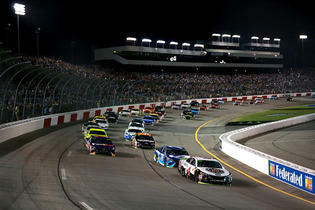 Hamlin finished fifth n the Toyota Owners 400 at Richmond Raceway Saturday night. Hamlin's No. 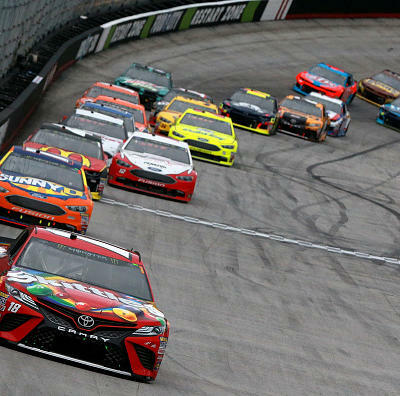 11 Toyota would be one of many cars that would fail pre-race inspection. 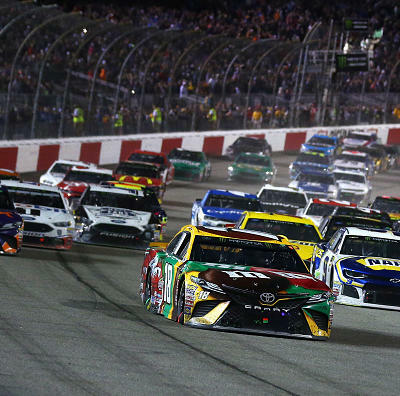 The Joe Gibbs Racing star would have to start from the rear of the field as a result. 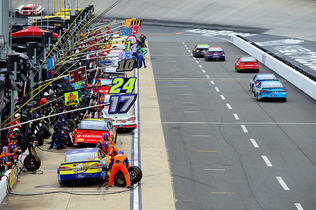 Hamlin would be mired deep in the field and heavy traffic for a big part of the race. He would eventually work his way inside the Top 10, and stay there the rest of the event. 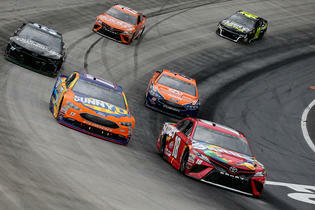 At lap 400 Hamlin would cross the finish line fifth for his sixth Top 5 of the season. He also extended his current Top-10 streak to seven races. 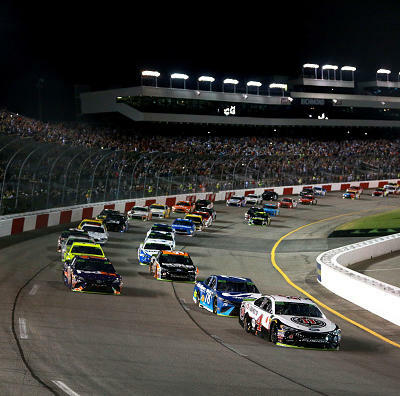 Harvick finished fourth in the Toyota Owners 400 at Richmond Raceway Saturday night. Harvick didn't have the world beating speed he used to win the pole Friday at Richmond. However, he was able to race inside the Top 10 all night and keep close touch with the leaders in this 400-lap race. The Stewart Haas Racing veteran led a total of 31 laps, but that would be it for the evening. 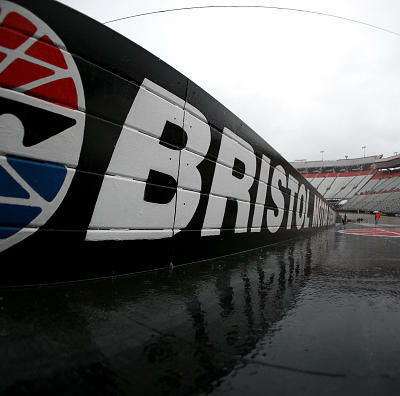 Harvick would make a late charge to the front and reel in the leaders, but his assault would fall short and he'd collect fourth-place at the finish. It was his fourth Top-5 finish of the season.